TrulySecure™ represents the culmination of over 20 years of Sensory’s industry leading and award winning experience in the biometric space. 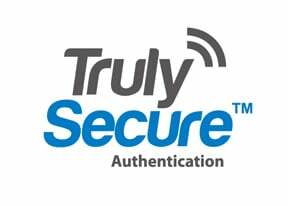 The TrulySecure SDK allows application developers concerned about both security and convenience to quickly and easily deploy a multimodal voice and vision authentication solution for mobile phones, tablets, and PCs. TrulySecure is secure, robust, and user friendly – offering better protection than passwords/PINS or fingerprint swiping, while eliminating their associated user frustrations. The solution features quick and easy enrollment – capturing voice and face simultaneously in a few seconds. Authentication is on-device, and almost instantaneous. TrulySecure provides maximum security against unauthorized attempts to break in, while ensuring the most accurate verification rates for the user. It is robust to environmental challenges such as low light or high noise – it works in real-life situations that render lesser offerings useless. The proprietary speaker verification, face recognition, and biometric fusion algorithms leverage Sensory’s deep strength in speech processing, computer vision, and machine learning to continually make the user experience faster, more accurate, and more secure. TrulySecure offers ease-of-mind specifications: no special hardware is required – the solution uses standard microphones and cameras universally installed on phones, tablets and PCs. All processing and encryption is done on-device, so personal data remains secure – no personally identifiable data is sent to the cloud. 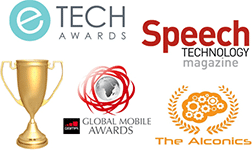 For the best of class authentication solution in the market, look no further than TrulySecure.